Ashley Sanderson is the Learning Specialist at Colorado Springs Early Colleges. Mrs. Sanderson and her family recently moved to Colorado Springs from Arizona and is thrilled by the spectacular views and weather. She has 6 years of experience working with students with special needs/ disabilities/ and English Language Learners. She is motivated by finding new ways to teach each of her students so that they can reach their potentials. Ashley has management and collaborative experience supporting teaching staff to ensure the best learning atmosphere for her students. She has over 62 hours of Assistive Technology training that she pursued in order to best serve her students and school. 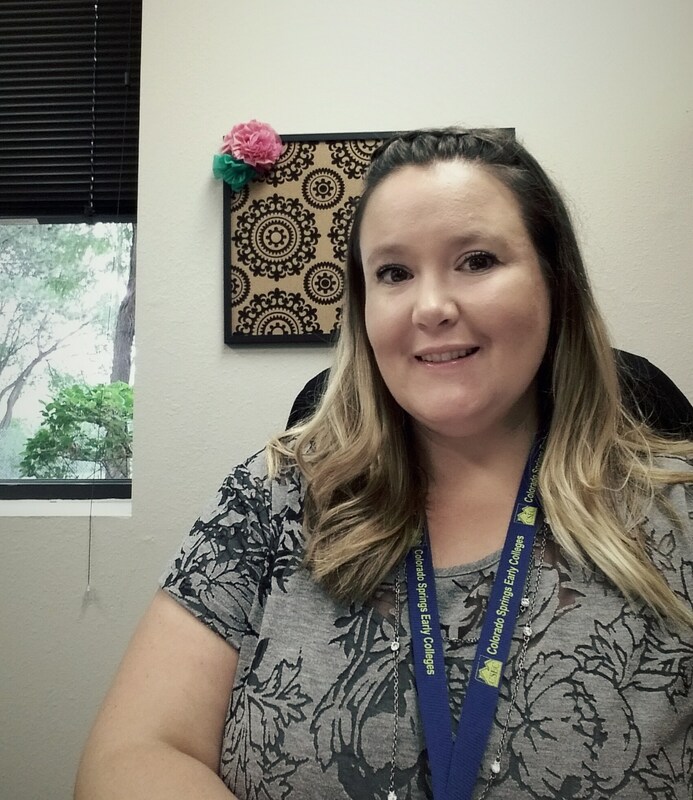 Mrs. Sanderson graduated from the University of Arizona with her BS in Special Education / Deaf Studies and still enjoys learning American Sign Language as a hobby. She looks forward to building her life here in Colorado Springs with her husband and 3 loving children. The Colorado Springs Early Colleges Gifted and Talented program meets the needs of all identified gifted and talented students. Referrals can be made by parents, staff, peers, and the student. Please contact Ashley Sanderson at ashley.sanderson@coloradoearlycolleges.org for more information.